Demand for measles vaccines has surged in the Washington county where the highly contagious virus is linked to more than 50 confirmed illnesses this year — including among people who had previously shunned the shots. Orders for two types of measles vaccines in Clark County were up nearly 500 percent in January compared with the same month last year, jumping from 530 doses to 3,150, according to state health department figures. Area health clinics are scrambling to keep up with sudden demand, mostly among parents of children who had not been inoculated. “During an outbreak is when you see an influx of patients who would otherwise be vaccine-hesitant,” says Virginia Ramos, infection-control nurse with Sea Mar Community Health Center, which runs six sites that offer vaccines in Clark County. The Vancouver Clinic, which operates medical offices and urgent care centers in the area, reported that shots administered jumped from 263 in January 2018 to 1,444 last month, a nearly 450 percent increase. That’s a huge rise in a county where vaccination rates lag — only 76.5 percent of kindergartners had all the required immunizations for the 2017-2018 school year. Health officials have long worried about the potential for an outbreak in the region. Statewide in Washington, orders for measles vaccines jumped about 30 percent in January compared with the same month last year, climbing from 12,140 doses to 15,780 doses, figures show. The vaccines include MMR, which protects against measles, mumps and rubella, and MMR-V, which also protects against the varicella-zoster virus, which causes chickenpox. The vaccine takes effect within 72 hours, health officials say. The orders represent only state-supplied vaccines requested through the federal Vaccines for Children program, which provides free immunizations to children who otherwise couldn’t afford them. But it’s a snapshot of the scare an outbreak can cause, says Alan Melnick, the Clark County health officer overseeing the response. “I would rather it not take an outbreak for this to happen,” he says. Since 1 January, 50 cases of measles have been confirmed in Clark County, with 11 more cases suspected, officials say. The Pacific Northwest outbreak includes one confirmed case in King County, where Seattle is located, and four in Multnomah County, which includes Portland, Oregon. On Wednesday, officials sent letters to families of 5,000 children in Multnomah County telling them they’ll be excluded from school if they don’t have up-to-date immunizations or valid exemptions by 20 February. Most of the infections have occurred in children under age 18 who were unvaccinated. The outbreak includes 43 cases among those who were not immunized, six cases where immunization has not been verified and one case in which the person had received a single dose of vaccine. The U.S. Centers for Disease Control and Prevention recommends two doses of measles vaccine, one given at 12 to 15 months of age and one between ages 4 and 6. Health officials say the shots are safe and effective, providing about 93 percent protection with one dose and 97 percent with two doses. The Northwest cases are among three ongoing measles outbreaks in the United States that sickened 79 people in January, according to the Centers for Disease Control and Prevention. Last year, 372 measles cases were confirmed nationwide, the most since an outbreak in 2014 sickened 667 people. Washington and Oregon are among 17 states that allow non-medical exemptions from vaccination requirements for school entry, according to the National Conference of State Legislatures. 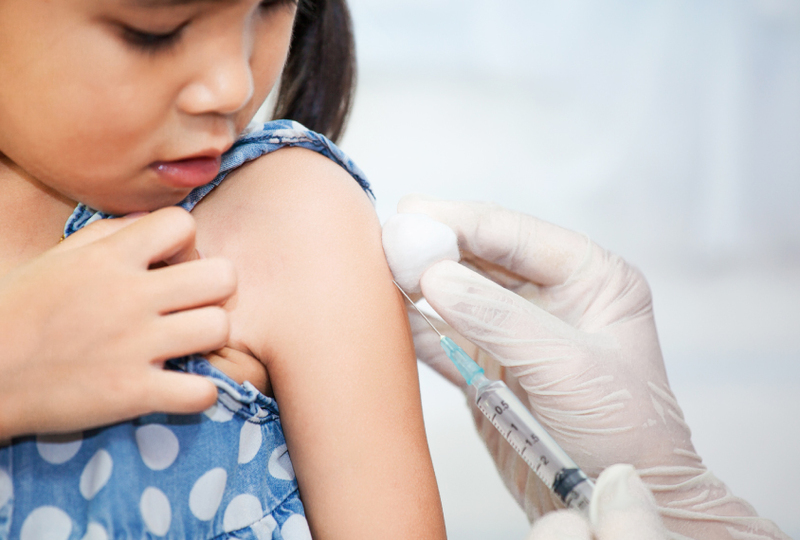 Washington state representative Paul Harris (R-Vancouver) has introduced a measure that would remove personal-belief exemptions for the MMR vaccine. Research has confirmed that vaccines don’t cause autism, a common reason cited by parents who reject vaccinations. Others object to the timing and combinations of the vaccines and to being forced to inoculate their children.